First, a word of caution. When you go to Twitter for the first time, you will undoubtedly wonder what in the world this is all about; it will look like meaningless gobbledegook, a hodgepodge of 140-character messages. If you want to explore, give yourself a month or two. You will also need to follow some people who really know how to tweet. 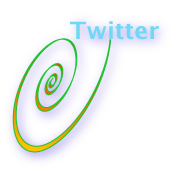 In my experience, most Twitter “posts” (called “tweets” by the way) mix news tidbits, humorous or interesting or acerbic observations. Above all, they give useful, interesting or entertaining information. Read on to explore why Twitter might be worth exploring from an executive’s perspective. Twitter is spontaneous and has tremendous potential. It has a “stream of consciousness” element that can be as profound as it is fractured and unstructured. It’s doable anywhere right now. Twitter is personal. People on Twitter are wacky, philosophical, funny, sad and outrageous. I think they may be closer to themselves. This is due to the fact that one can say 140 characters of anything, and it’s not too revealing unless you know that person enough to supply the contextual material to get close to the meaning. Therefore, people can say what they want with little fear that people who don’t know them will understand, so privacy is not as compromised as one might think. Twitter can be superb when coordinating dispersed groups in dynamic settings like “the field.” It’s broadcast, and SMS is global and very reliable in most geos, so it enables global teams to update each other on fast-changing information. For example, you have software development or service teams that work together to support a large client. All members have significant dependencies from other people, so they are affected by delays. They can use Twitter to advise others who can then revise their expectations. Again, this is possible from a cellphone anywhere. Now. Likewise, I see tremendous potential for trade shows. You have high-cost investment and a team in a dynamic environment. Cell phones often don’t work in exhibition halls, but often SMS/text does. Teams can tweet each other when they see a tier one prospect at a certain location. Likewise, they can encourage attendees to sign up for booth updates via Twitter. Twitter is used by many as a news distribution feed, and I’ve seen limited success. Every Web 2.0-oriented conference has a Twitter feed. It can be a very effective way to reach people, but the 140 character limit can limit appeal. Marketers’ DNA is big numbers, and here Twitter can disappoint. To develop a high value network, you need to invest. You need to zoom in on high-relevance nodes and let them take you to others. You need to write inspirational things that spark the imagination of the people you’re trying to attract. This takes time and can be difficult to analyze using conventional tools. Twitter is a unique facsimile of intimacy. Sharing someone’s mundane existence can lead to a certain level of intimacy. When people “talk,” they often talk about what’s exciting or different in their lives. There isn’t space to fully explain full concepts on Twitter, and Twitter is spontaneous, so reading someone’s tweets after a while, even if you don’t know the person, can lead to an unusual sense of or knowledge of the person. This is something I’m very curious about and am exploring further. I believe it could be provide unique insight into experience. Twitter is ultra emergent. Depending on who’s in your network, you have your own private news network. You’ll get news faster on Twitter than anywhere else. Again, you’ll have to be knowledgeable enough to appreciate the snippets, to supply the meta-information needed. Some people equate Twitter with blogging or IM (instant messaging). I’m not sure how similar Twitter is to IM because it’s essentially a broadcast vehicle even though some P2P interactions happen via direct messages. It’s also much more limited than IM in terms of message size, and that really makes a difference. I think it’s also pretty distinct from blogging because there is less in-depth commenting on a specific “post.” I am focusing my inquiry by keeping an open mind because I think it really is a unique vehicle and I believe that experimenting is the best way to grasp its essence. Twitter can be fantastic for real-time crowdsourcing. Depending on the size and knowledge base of your network, you can ask them specific questions and get awesome information back very quickly. Twitter networks tend to be very collaborative, and people will help you out when they can. You can use the same network to send “@username” messages and “direct” (private) messages. An @username message addresses or responds to one of the people you follow, but everyone in the network can see it. A subtlety: if someone else in your friend’s network sees the direct conversation between you and your friend, s/he can click on your username, which is contained in the direct message, quickly view your tweets and ask to follow you. Direct messages are only seen by the person to whom you send them. A good way to start exploring is to join the Twitter Group on LinkedIn. See my profile and click on the Twitter logo. You will need to join Twitter first. If you are connected with someone on LinkedIn, you can get to know them from a completely different perspective by following them on Twitter. For most people, you will learn more personal things, what pisses them off, what they find pleasing. This way to “triangulate” can be extremely insightful. Twitter is a new medium. Yes, it has similarities with others, but it offers a unique mix of constraints and abilities. For example, the 140 character limit is *very* limited but at the same time means you can communicate with 1.x billion people in the world via SMS (“texting”). And any cell phone can receive SMS. If you want to view my tweets and some of the people I follow, here is my Twitter page; for the people I follow, just click their pictures. Of course, you can block anyone from following you and reading your messages. You can also create a private network (“protect my updates” in settings) in which no one except members can read your messages by default. Enterprise 2.0 and B2C Web 2.0 Show Serious Traction—But Social Sticky Wickets Remain—How to Trust?